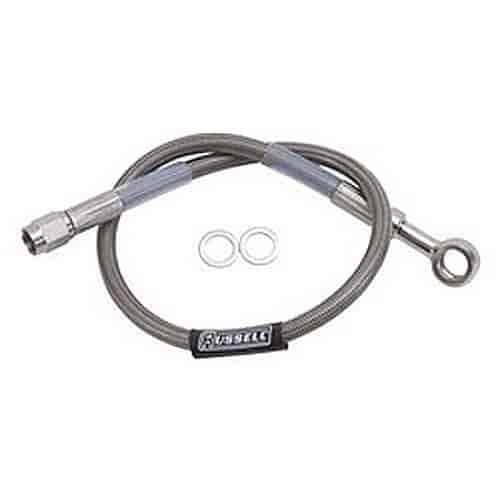 Russell's universal hose assemblies are constructed from PowerFlex stainless steel braided hose and hose ends that are plated with Russell's ultra brite Endura finish. The hose ends are factory precision crimped to eliminate leakage. Hose assemblies are street legal as they meet with the guidelines of D.O.T. FMVSS-571.106 requirements.